How many castles did the Normans build in England in the years following the conquest of England in 1066? We're not precisely sure, as many of them were hastily erected defences - just an earthen mound with a wooden palisade on top - discarded when they were no longer needed. Archaeologists imagine, though, that the Normans built about 500 motte and bailey castles in the first 20 years of William the Conqueror's reign. How many are still standing? Well, this one was a surprise to me! I knew that some Norman castles, like Alnwick, Warwick or the Tower of London had been rebuilt and extended over the centuries. I knew that others, like Warkworth or Kenilworth still stood as beautiful ruins. But I had no idea that there would be over 90 Norman castles still standing! So this page is rather long! Explore at your leisure or use the alphabet keys to jump quickly to the information you need. And yes, I'm quite sure that this list is NOT complete. But as we travel the country exploring, or I find new books, I'll add in what I learn. Appleby Castle: founded in 1100 by Ranulf le Meschin, later owned by the de Clifford family. Barnard Castle: begun by Guy de Baliol about 1095, later owned by the Beauchamp Earls of Warwick, one of the strongest fortresses in medieval England. Bedford Castle: Motte and bailey castle, founded by Ralf de Tallebosc. Rebuilt in stone in 12th century. Held by William de Breaute against King Henry III and destroyed in 1224 after siege. Bellister Castle: late 11th century motte and bailey castle, later rebuilt in stone. Berkhamstead Castle: founded by Robert of Mortain, half-brother of William the Conqueror. Biggleswade Castle: Motte and bailey castle the existence of which was discovered by aerial photography in 1954. No visible remains. Bolsover Castle: founded shortly after the Norman conquest by Ranulf de Peverel, husband to William the Conqueror's former mistress. Bramber Castle: Motte and bailey castle built by William De Braose in 1070. Brough Castle: built around 1100 atop an abandoned Roman fort. Cainhoe Castle: Late 11th or early 12th century motte and bailey castle with three baileys! Canterbury Castle: Two castles were built in Canterbury during the Norman period. This one, the large stone keep, was the second. 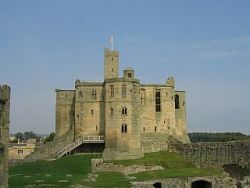 It was built during the reign of King Henry I and may have stood up to 80 feet high. Carlisle Castle: Built as a motte and bailey castle during the reign of King William II in 1093. Rebuilt in stone in 1122 on the orders of King Henry I.
Cartington Castle: Ruined castle from the time of England's first civil war, held by Ralph Fitzmain in 1154. Rebuilt and extended in the 14th century, it overlooks the River Coquet just north-west of Rothbury. Castle Howe: Just outside Kendal, only earthworks now remain of Ivo de Taillebois' castle, which was begun around 1092. Castle Rising: Glorious Norman stone keep and massive defensive earthworks, built in around 1140 by William d'Albini. One of the finest Norman castle ruins in England! Chalgrave Castle: Very little remains of this 11th century castle near Toddington in Bedfordshire. It's thought to have been of motte and bailey construction, soon abandoned. Chester Castle: A stone-built motte and bailey castle built by Hugh de Avranches, earl of Chester. Only fragments of the towers and curtain walls remain. Christchurch Castle: Motte and bailey castle raised around 1100 by Richard de Redvers, cousin of Henry I. The - now ruined - stone tower was built around 1300. Clare Castle: An 11th century earthwork motte and bailey fortress, founded by Richard fitz Gilbert. In the 13th century, the de Clare family built the stone castle, crowning the motte with a polygonal shell keep, with unusual triangular buttresses. Clifford Castle: 11th century motte and bailey fortress built by William fitz Osbern. Rebuilt in stone by Walter de Clifford in the early 13th century. Clun Castle: Motte and bailey castle built by Robert de Say around 1140-50. Swiftly rebuilt in stone to secure England's border against the Welsh. Colchester Castle: The largest Norman keep ever built in England! One of the three original Royal castles of William the Conqueror. 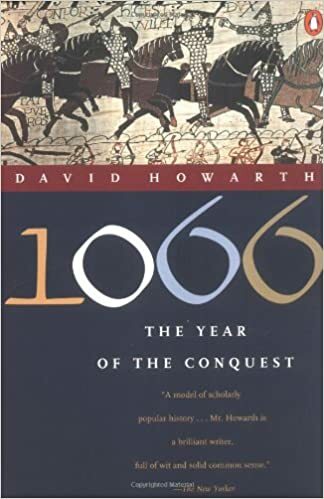 Begun in 1066, soon after the Battle of Hastings. Corfe Castle: Begun by William the Conqueror soon after his arrival in England in 1066. Favourite castle of King John, who extended it widely. Dane John Mound:This is Canterbury's other Norman castle, the original motte and bailey castle erected by William the Conqueror in 1066, while he was on the way to London. Only the mound now remains. Deddington Castle: Motte and bailey castle built by Bishop Odo of Bayeux, the half brother of William the Conqueror. Held by William de Chesney, Lord of Deddington, in the mid 12th century. Largely demolished by 1310. Devizes Castle: Built as a motte and bailey castle 1080 by Osmund, Bishop of Salisbury. Rebuilt in stone by Roger, Bishop of Salisbury, by 1120. Changed hands repeatedly in England's first civil war. Dover Castle: First motte and bailey castle built by William the Conqueror after the Battle of Hastings in 1066. Rebuilt by King Henry II to house pilgrims on the way to Canterbury. Duffield Castle: Stands on land granted to Henry de Ferrers by William the Conqueror after the Battle of Hastings. Though Henry's chief seat was Tutbury Castle in Staffordshire, he is thought to have built a wooden castle at Duffield. Both Tutbury and Duffield were destroyed in 1173 by Henry II and rebuilt by Henry Ferrer's great great grandson, who enjoyed the favour of King John. Durham Castle: Motte and bailey fortress built in 1072 by Waltheof, earl of Northumberland. 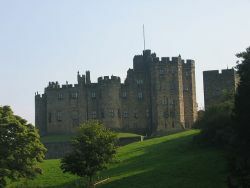 Rebuilt and extended by the Bishops of Durham. Egremont Castle: Built by William de Meschines about 1130-1140, close to an earlier Norman mound near this site. Elsdon Castle: Built by Robert de Umfraville, not long after the Norman Conquest. Impressive earthworks remain. Eynesford Castle: Originally a Saxon moated site until a very early Norman stone enclosure castle replaced this residence. In 1085, Ralph, son of Unspac held the castle for Lanfranc, the archbishop of Canterbury. Farnham Castle: Stone motte and bailey castle, founded by Henry of Blois, bishop of Winchester, in 1138. Castle was slighted in 1155, but later rebuilt. Gloucester Castle: Probably constructed by the first Norman Sherrif of Gloucester, Roger de Pitres, as a simple motte and bailey castle. Rebuilt and extended over time until it fell into ruin and was replaced by the Gloucester gaol in 1791. No visible remains. 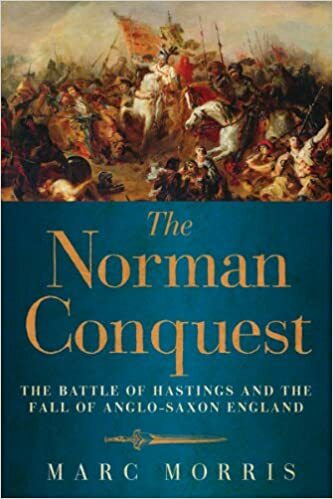 Hastings Castle: Begun on orders of William the Conqueror shortly after he landed in England. Initially built as a motte and bailey castle, and rebuilt in stone in 1070, again on William's orders. Now ruined. Hedingham Castle: Stone ringwork and bailey, founded by Aubrey de Vere, earl of Oxford, with impressive Norman keep in the centre. Helmsley Castle: Built by Walter L'Espec in 1120. Extensively rebuilt and remodelled. 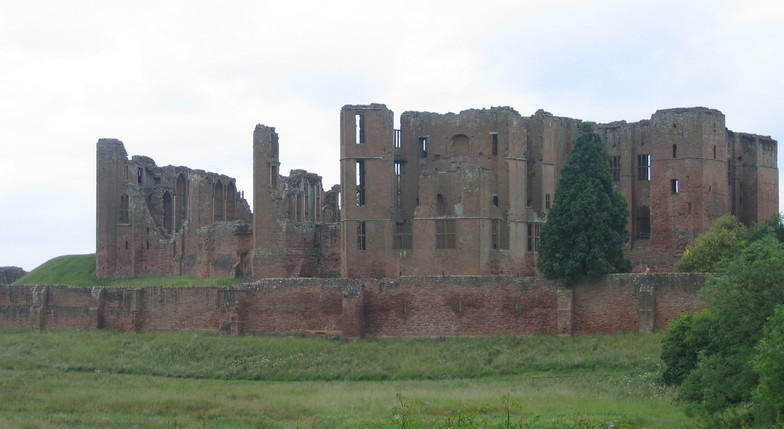 Kenilworth Castle: England's largest castle ruin with remains of the original massive Norman keep at the centre of the site. Kimbolton Castle: In 1066, King Harold II of England held Kimbolton Manor. After he died at the Battle of Hastings the land passed to the de Bohun family, who built the first castle. Launceston Castle: Motte and bailey castle built by Robert, count of Mortain, half-brother to William the Conqueror. Rebuilt in stone by Richard, earl of Cornwall in the 13th century. Leeds Castle: 11th century earthwork motte and bailey castle founded by Hamon de Crevecoeur. His son Robert added a stone shell keep and gatehouse. 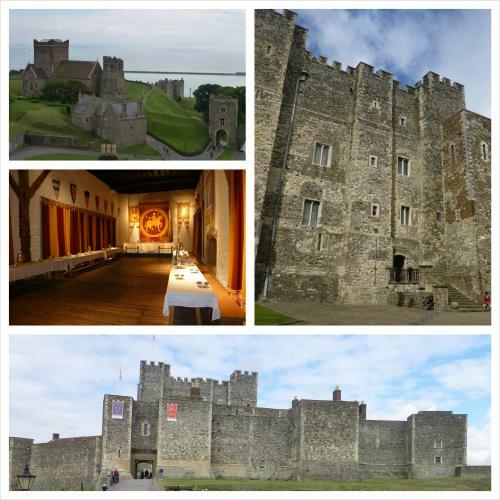 Extensively remodelled in King Edward I's reign and one of England's most beautiful castles. Lewes Castle: Founded by William de Warenne in the 11th century. Rebuilt in stone by Hamelin de Plantagenet in the early 12th century. Unusual construction with two mottes, both topped by shell keeps. Lincoln Castle: Founded by William the Conqueror and built on the site of a Roman fort. Again, constructed with two mottes. One supports the 12th century shell keep, the other a 14th century tower. Longtown Castle: Built in the 1180's by Walter de Lacy. Fortified during the 12th century. Only the gatehouse remains today. Ludgershall Castle: 12th century castle used for a time as a royal hunting lodge. Fell into decay after the 15th century and now only ruins remain. Ludlow Castle: Built by Walter de Lacy, a trusted member of the household of William fitz Osbern, shortly after the conquest. Extensively remodelled during the Middle Ages. Lydford Castle: The square stone keep in the centre of Lydford dates to the reign of King Richard the Lionheart. The original motte and bailey castle built shortly after the Norman conquest, is situated a little to the side of the modern castle. Only the earthworks remain. Morpeth Castle: 11th century motte and bailey castle, destroyed about 1215. A new castle was built in the bailey of the original in the 1340s, but little of that structure survives today. Norham Castle: Early 12th century earthwork motte and bailey fortress, founded by Bishop, Ralph de Flambard. Rebuilt in stone in 1157 by Bishop Hugh de Puiset. 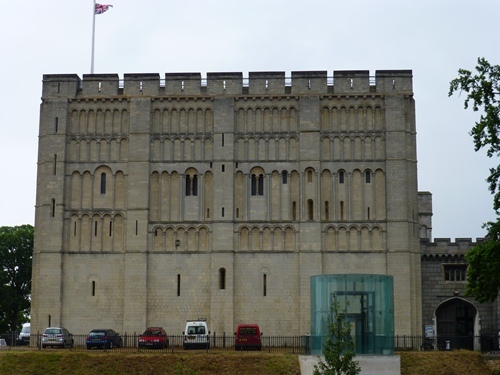 Norwich Castle: One of William the Conqueror's earliest castles. King Henry I added the huge ornate keep which still stands today. Odell Castle: Built by Walter de Wahul, count of Flanders. Ruined by the 16th century and later building has obliterated part of the motte and most of the masonry. 9 miles south-east is Bedford Castle. Okehampton Castle: Baldwin de Brionne founded this castle - the largest in Devon - with its two story square keep. Extended in the 14th century. Old Sarum Castle: Used as a defensive structure since the Iron age. 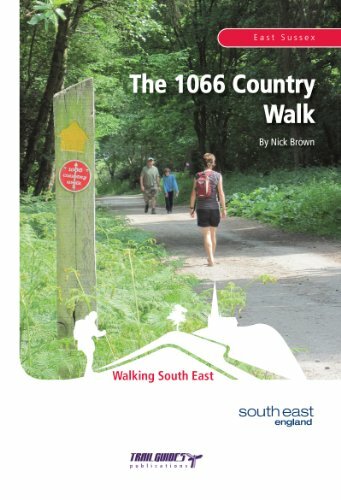 William the Conqueror built a castle within the hillfort and paid off his army here in 1070. Extended by Roger of Salisbury. King Henry II kept his wife, Eleanor of Aquitaine, prisoner in Old Sarum. Oxford Castle: Founded by Robert d'Oilly shortly after the conquest. The shell keep on top of the motte is now ruined. Pevensey Castle: William the Conqueror's first English castle. King Richard the Lionheart added a stone keep and bailey enclosure. The site lost its importance in the 1500s. 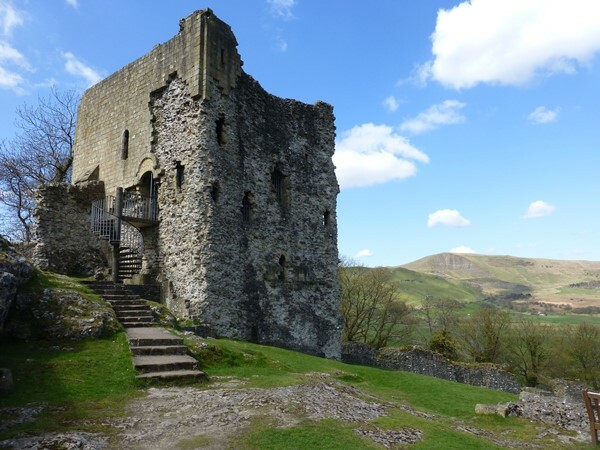 Peveril Castle: 11th century stone enclosure built by William Peverel. King Henry II's small elegant square keep of two rooms from 1174 still survives. Pickering Castle: 11th century earthwork motte and bailey castle built by William the Conqueror. Rebuilt in stone by King Henry II. Pontefract Castle: Built by Ilbert de Lacy atop Saxon fortifications in the 1080s. Rebuilt in stone by the de Lacy family throughout the 12th and 13th centuries. Principal royal castle in the north of England. Portchester Castle: Stone keep built atop the Roman fort of Portus Adurni. Norman tower keep stands at the angle of the fort, with a square gatehouse and one square tower flanking the curtain wall. Prudhoe Castle: Late 11th or early 12th century ringwork built by Robert de Umfraville. Inner timber defences were replaced by a stone curtain wall in the early 12th century. Rayleigh Castle: The castle was built by Swein, son of Robert FitzWimarc and a wealthy landowner, sometime between the Norman conquest of 1066 and the completion of the Domesday Book in 1086, where it is mentioned. 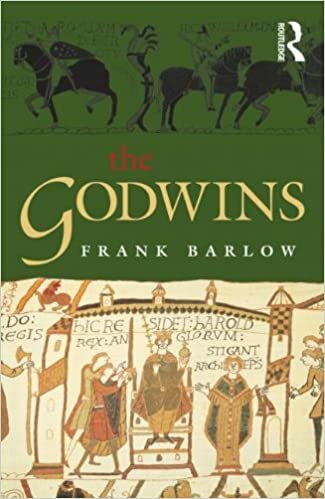 Considered one of the earliest Norman castles in England. Restormel Castle: Stone ringwork and bailey castle founded by Robert, count of Mortain. Later home to Edward, the Black Prince. Rochester Castle: This has to be one of the most amazing Norman castles in England! It's ruined, but the enormous square keep - the tallest in England and dating to 1127 - still dominates the skyline. Rockingham Castle: Built by William the Conqueror and rebuilt in stone by King William II. Two baileys with the motte in between, it was a Royal fortress for 450 years. Rufus Castle: Built for King William II (called "Rufus" for his red hair). Captured by Robert, Earl of Gloucester, from King Stephen for his half-sister Empress Matilda. Sandal Castle: Early 12th century earthwork motte and bailey fortress built by William de Warenne. Stone castle built in 1180 by Hamelin de Plantagenet. Extended and strengthened repeatedly during the 13th century. Sherborne Old Castle: Built in 1120 by Roger, Bishop of Salisbury and Abbot of Sherborne. Captured in June 1239 by King Stephen's army. Not returned to the Bishops of Salisbury until 1355. Shrewsbury Castle: Earthwork motte and bailey castle built by Roger de Montgomery. Rebuilt in stone in 1164 by King Henry II. Great Hall added and defences strengthened by King Edward I in the 13th century. Skipsea Castle: Unusual defensive structure - the motte stands in its own lake - built by Drogo de Beauvriere. A wooden causeway once connected the motte to the large bailey. Rebuilt in stone by William le Gros in the 12th century. Skipton Castle: One of the best preserved castles in England, Skipton was built by Robert de Romille around 1090. The wooden palisade didn't hold back the Scots for long and Skipton was soon rebuilt in stone. St Briavel's Castle: This is a Norman castle you can actually stay in! St Briavel's, once a Norman stronghold, was rebuilt as a hunting lodge for King John in 1205 and had additional towers added in 1293. Today, St Briavel's is a Youth Hostels. Sutton Valence Castle: Norman stone keep built by Baldwin de Bthune, count of Albermarle. Abandoned in the 14th century. Thetford Castle: Like Canterbury, Thetford had two Norman castles, both of motte and bailey design. But only earthworks remain of both of them today. Castle Mound was 40 feet high and one of the largest mounds in England. Red Castle, the earlier one, was built at the end of the 11th century. Tonbridge Castle: Built by Richard Fitz Gilbert to guard the crossing of the River Medway. King William II besieged that castle in 1088. It fell after two days. By 1100, the wooden castle was replaced with a stone shell keep. The castle was further extended during the 13th century. Totnes Castle: Beautiful castle. The shell keep looks as if it floats above the town. Early parts of the castle were built in the 11th century, though the shell keep is from the 13th century. Towcester Castle: Motte and bailey castle of which only the mount remains today. Thought to have been built during the power struggles of King Stephen and Empress Maud. The Tower of London: England's most famous castle. William the Conqueror started the White Tower shortly after his coronation, even importing the stone from Caen in Normandy. Since then it's been a royal residence, traitor's prison, zoo and treasury. Tutbury Castle: Started by William the Conqueror's Master of the Horse, Henry de Ferrers, in about 1089, on land that was granted him by William the Conqueror. Tutbury was destroyed in 1264 by Edward I to punish its rebellious owner. Rebuilt, it fell to the Duchy of Lancaster, who still owns the ruined site. Wallingford Castle: Motte and bailey castle; two baileys with the motte in between. Founded by Robert d'Oyley after the conquest. Held for Empress Matilda during England's first civil war. Wark Castle: 12th century earthwork motte and bailey castle built by Walter Espec. King Henry II built the stone castle in 1157-61. An octagonal shell keep was added in the early 13th century. Warwick Castle: One of England's finest complete castles. Built by William the Conqueror in 1068. The Norman castle was rebuilt in stone by John de Plessis in the 13th century. Warwick also has 14th century towers and a 15th century gatehouse and barbican. Weeting Castle: 12th-century fortified manor house, now ruined. The moat was added in the 14th century before the house was abandoned in 1390. Wigmore Castle: Again, there are probably two Norman castles here. One early motte and bailey castle and a 13th century stone motte and bailey castle. And as in Lydford, the buildings have been buried to the level of the first floor. Wilton Castle: 12th century fortified manor house. Stone castle built in , 1335 by John de Heslerton. Winchester Castle:Built in 1067, Winchester was one of the greatest strongholds in England. Extended and rebuilt under Henry III, who added the Great Hall, and Edward II. Windsor Castle: England's largest inhabited castle is a beautiful example of a castle with a double bailey and a motte in between. Despite centuries of building work, this layout is still at the heart of the castle. Wolvesey Castle: Erected by the Henry of Blois, the Bishop of Winchester and brother to King Stephen between 1130 and 1140 and pivotal in England's first civil war. 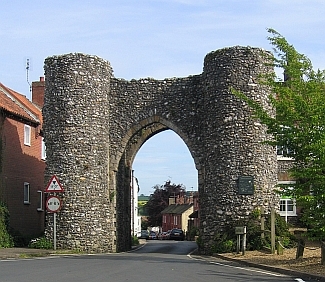 When Empress Matilda's forces assaulted the castle in 1141, the defenders destroyed most of Winchester. Yielden Castle: Built around 1173 in the classical two-bailey style. Abandoned by 1360. Only earthworks remain today. 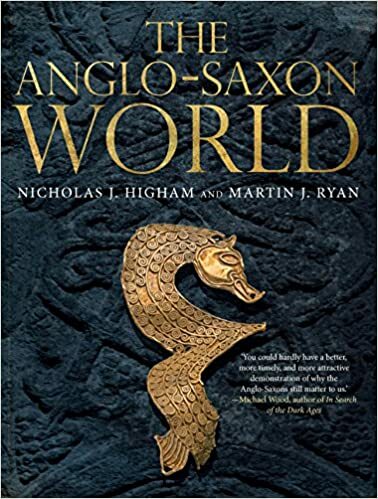 By the time William the Conqueror died, England had changed from an orderly, prosperous Anglo-Saxon society into a Norman kingdom, with different rules, laws, customs, loyalties ... even a different language. And England had acquired hundreds of Norman castles, many of which still continue to enchant and amaze us. I hope you enjoy exploring this list as much as I enjoyed compiling it. 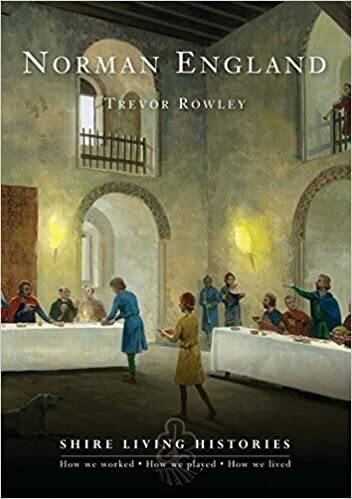 For more information on this fascinating period in English history, return from the A to Z of Norman castles to the Norman England page.